WASHINGTON, DC – The Organization of Women in International Trade (OWIT) is pleased to announce the recipients of its annual awards. 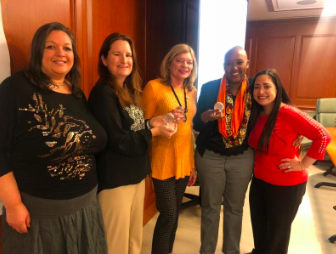 Presented at OWIT’s annual meeting in Washington, DC, the awards recognize outstanding contributions to the organization and showcase how the winners leverage their passion and dedication to advance women in international trade and business. OWIT–Nairobi is committed to raising the awareness and advancement of significant trade-related issues. It conducts trade missions that serve as a platform to inform different stakeholders about OWIT and its mission. 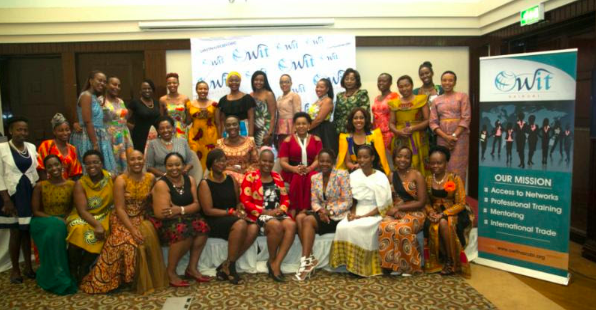 In 2018, OWIT–Nairobi organized a trade mission to Rwanda in partnership with the Embassy of Rwanda that saw a number of entrepreneurs do business with that country. In addition, it proudly hosted the 18th Annual OWIT Conference, bringing together different trade experts, entrepreneurs and corporates for a three-day, highly-successful event which helped build partnerships with numerous stakeholders. It illustrates its leadership as a chapter by mentoring other OWIT chapters and sharing organizational management experience, processes and procedures. CALL FOR PAPERS: MAY 29 – 30, 2019. TradeMark East Africa (TMEA) in collaboration with the University of Portsmouth (UoP) and the Centre for International Trade and Investment Law – India invite researchers and policy practitioners to participate in a research and policy symposium through submission of innovative and high-quality applied research and policy papers that explore the effective participation and empowerment of women in trade for sustainable and inclusive socio-economic development. The submitted papers can be applied or conceptual. While conceptual papers are encouraged to be of direct policy relevance; applied papers must contain empirically tested approaches. Both papers should include examples and experiences, particularly in Africa (papers with practical examples from other parts of the World are also welcome), of the different trade facilitation measures and their associated benefits, opportunities and challenges for effective participation and empowerment of women in trade. Regional and continental economic integration. Of interest too will be papers that focus on a south-south comparative analysis on these topics. Submit your complete paper to siat@trademarkea.com by April 30th, 2019. Visit www.trademarkea.com for more details on thematic topics, and symposium registration and logistics. Limited logistics sponsorship shall be made available to facilitate presentation of selected papers at the conference. 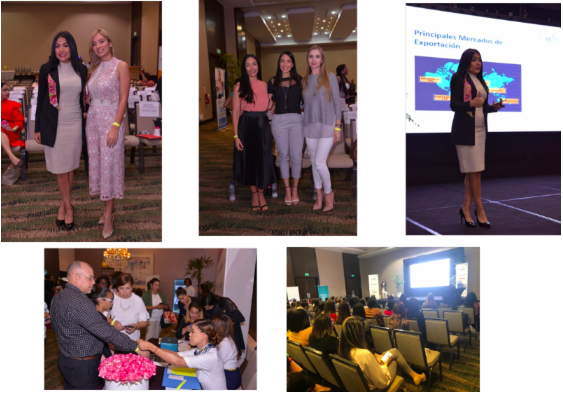 OWIT–Dominican Republic participated in the second edition of Mujeres Empresarias y Emprendedoras on March 27th, 2019 by Emprende SDQ. The conference, “Dominican Republic in International Trade”, by Mabel Báez, president of OWIT–DR, was a great success, with the attendance of more than 150 people, including women entrepreneurs and influencers from different sectors. Support came from several recognized companies in the country. TORONTO, ON – A group of 11 Canadian business women representing multiple industries who participated in a trade mission to Monterrey, Mexico this month returned to Canada with some immediate business and leads. 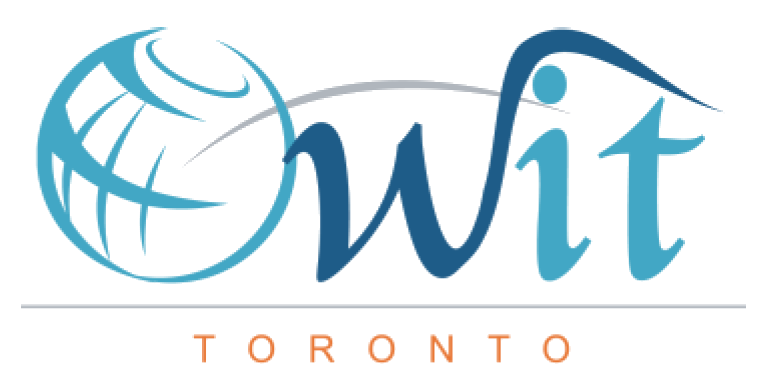 Spearheaded by the Toronto chapter of the Organization of Women in International Trade (OWIT–Toronto), the mission provided opportunities for female business owners and professionals to export and expand globally, as well as to showcase the contribution of women in international trade, in historically male-dominated industry sectors, in both Mexico and Canada. Participants’ sectors included auto-manufacturing, IT, education, transportation, legal, international trade services and government. Coordinated by OWIT–Toronto Co-President Alma Farias, the initiative was facilitated by the Canadian Trade Commissioner Service from Monterrey’s Canadian Consulate, in cooperation with the OWIT–Monterrey Chapter, the Ministry of Economy and Labour of the State of Nuevo Leon, and the Cluster TIC Nuevo Leon. 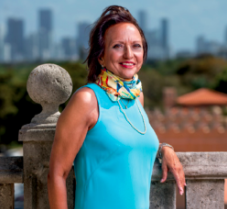 Carolina Rendeiro, OWIT South Florida VP, has been involved in workplace innovation, international trade, and Coral Gables for more than three decades. Most recently she was president of the World Strategic Forum (2016 – 2018) and VP of International Development for eMerge Americas (2013 – 2016). She previously founded the first co-working space and incubator program in Coral Gables, and was president of the Global Workspace Association. 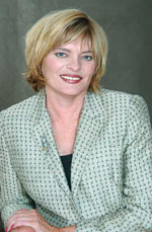 She sits on the boards of BB&T, Sister Cities International, the Coral Gables Economic Development Department, and the Coral Gables Chamber of Commerce (she was chairman 2007 – 2008). Rendeiro is also executive director of Sister Cities of Florida, the incoming president of the Miami Chapter of the Organization of Women in International Trade, and lives in downtown Coral Gables. Rendeiro recently returned from her native Portugal, where she is working to establish a sister city for Coral Gables, and to encourage investment in both directions. She is also consulting on technology for schools and government services in Brazil, Argentina and Chile, and working to attract a fashion institute from London. Approximately 16% of small and medium-sized enterprises in Canada are majority women-owned. 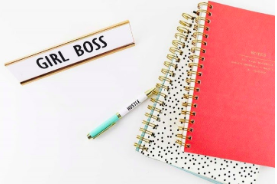 Only 10% of high-growth firms are owned by women. And yet, there is a growing understanding that when women succeed, everyone succeeds. It’s estimated that promoting gender equality could add $150 billion to Canada’s GDP. Now is a good time to focus on supporting the advancement of women in business. With a growing understanding across the globe that a balanced world is a better world, International Women’s Day 2019 generated new heights of conversation, inspiration and celebration. We decided to join the conversation and asked ourselves, how do we advance the success of women-led business and women’s entrepreneurship? NCBFAA NEEDS SUBJECT MATTER EXPERTS LIKE YOU! The NCBFAA Educational Institute (NEI) invites all OWIT members to consider authoring an export-focused case study for their Certified Export Specialists! Each year, NEI designees need to earn 20 continuing education credits, and to assist them the NEI offers four free online case studies so that designees can meet their credit requirement without cost or travel. The case studies are based on pertinent industry topics – past topics include export compliance, ZTE, and license determinations. Authoring a case study is not only a great way to flex your brain muscles and share your expertise, but it is a great way to promote yourself to thousands of students! The case study will be branded with your name and company logo (if applicable), as well as link to your website which will be seen by any NEI student who completes the case study. While you can author the content for a case study from scratch, you can also opt to base it off a regulation or trade document. We then need 15-20 questions and an answer key with citations. That’s it! The NEI provides templates and will format and edit the case study before loading it into the system. If you are interested and would like an example or more information, please contact NEI Director Cecilia Ferrara at nei@ncbfaa.org. 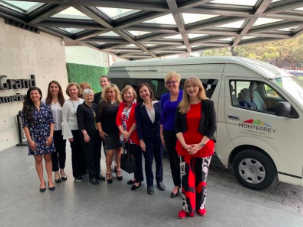 TORONTO, ON – A group of 11 Canadian business women representing multiple industries who participated in a trade mission to Monterrey, Mexico, this month returned to Canada with some immediate business and leads. Spearheaded by the Toronto chapter of the Organization of Women in International Trade (OWIT-Toronto), the mission provided opportunities for female business owners and professionals to export and expand globally, as well as to showcase the contribution of women in international trade, in historically male-dominated industry sectors, in both Mexico and Canada. Participants’ sectors included auto-manufacturing, IT, education, transportation, legal, international trade services and government. Coordinated by OWIT- Toronto Co-President Alma Farias, the initiative was facilitated by the Canadian Trade Commissioner Service from Monterrey’s Canadian Consulate, in cooperation with the OWIT- Monterrey Chapter, the Ministry of Economy and Labour of the State of Nuevo Leon, and the Cluster TIC Nuevo Leon . Activities kicked off with a networking breakfast hosted by OWIT- Monterrey with guest speaker Rhonda Barnet, Immediate Past- Chair of Canadian Manufacturers & Exporters (CME), and the first female Chair in the CME’s history. 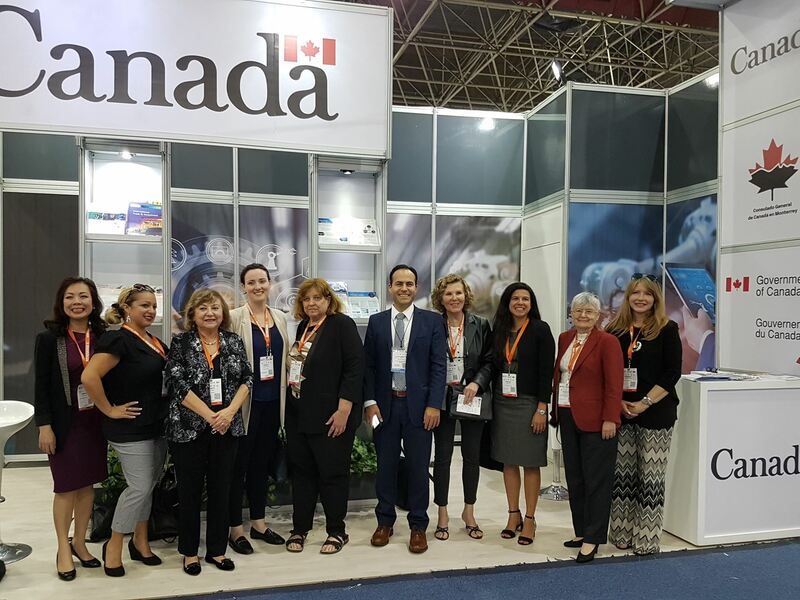 “We were able to showcase what Canada is doing to increase female participation in manufacturing through the excellent presentation done by Rhonda on the CME- program #WE CanDoIt,” notes Farias. Individual business-to-business meetings were held with potential customers, suppliers and business partners. Delegates also participated in conferences and meetings with local industry clusters, government and educational organizations, tours of various research and development facilities, and a visit to the Expo Manufactura trade show. 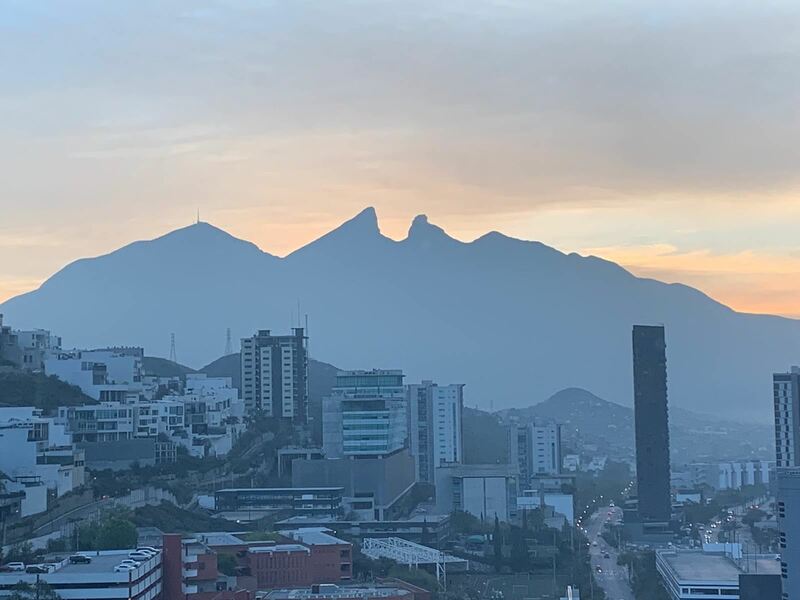 An evening reception held later in the week was hosted by the Canadian Chamber of Commerce-Monterrey and Canadian Consulate with more than 100 local business people in attendance. 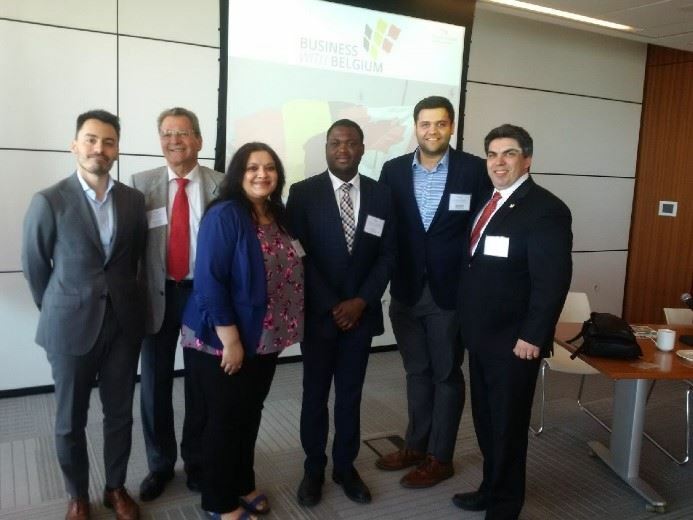 The trade mission was the first initiative after an MOU was signed by the OWIT-Toronto and OWIT-Monterrey chapters in March, 2017 in the presence of the Canadian Minister of International Trade and the Consul General of Canada in Monterrey. 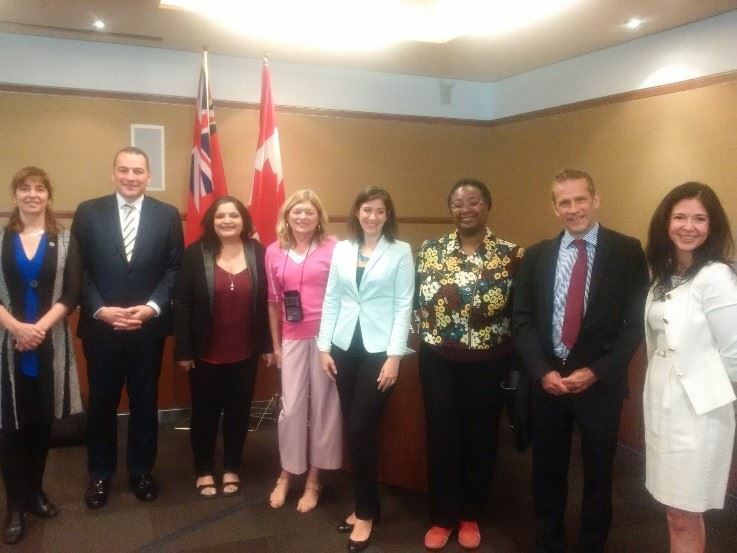 Supporters of the trade mission included EDC, Global Affairs Canada, Bennett Jones and the Ontario government. WASHINGTON, D.C. (September 15, 2016) – The Organization of Women in International Trade (“OWIT”) will be participating in the World Trade Organization’s (WTO) largest annual outreach event which provides a platform for participants to discuss the latest developments in world trade and to propose ways of enhancing the multilateral trading system. Taking place in Geneva September 27-29 and marking the 15th anniversary of this flagship event, the 2016 WTO Public Forum (www.wto.org) will examine how the WTO can foster SMEs' participation into the global market. It will also discuss how women can participate more fully in international trade and how they can overcome the constraints preventing them from reaping the benefits of trade. OWIT will present a panel on Shaping the Rules to Facilitate Active Participation of SMEs and Women in Global Markets on September 27. Member panelists will share real-world experiences and insights on barriers to participation by SMEs and women-owned small businesses as well as success stories. As part of the Forum, OWIT will also have a display to promote the benefits of its international network. 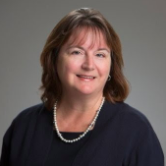 OWIT and promote our offerings,” says OWIT President Andrea Ewart. Full details and registration can be found at www.owit.org/programs/webinars .